It’s Day 3 of Kathy Racoosin’s 30 Day Colouring Challenge. I’ve has this card in my head for a while and decided that today was the day. The background is stencil mono print made with Distress Oxides. I have a tutorial on Splitcoaststampers if you’d like to try this. It’s quick and easy. Then I watercoloured the floral image along with some extra leaves from the same Studio Katia Set. Next they were fussy cut. I used a Dual Stitched Rectangle Die to make my shaker card, along with some beautiful sequins. 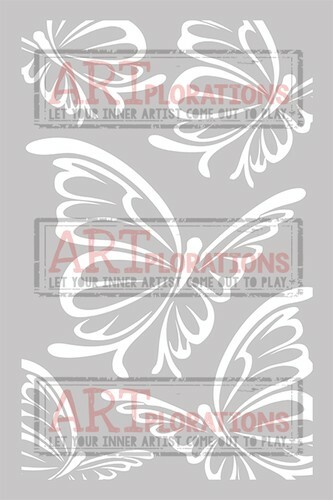 The sentiment was added to the front of the acetate window with Stazon Ink. Hello again, stencil fans! 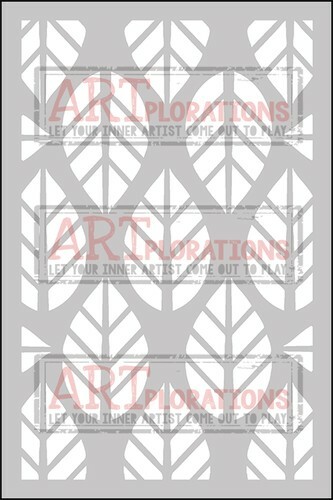 It’s day two of the ARTplorations Stencil Blog Hop with the STAMPlorations girls! You can find all the details on the STAMPlorations blog right here. There might be some prizes…just saying. Commenting on the STAMPlorations blog, the rest of the design team member’s blogs and my blog just might win you a prize 🙂 Commenting closes April 17 with the winners announced on April 19. I used the same technique as yesterday but changed up the colors and used the Flutterby stencil and added some gold splatters. 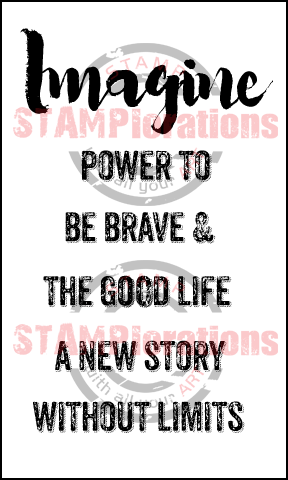 Check out what the other STAMPlorations girls have created to inspire you right here. Hello, stencil fans! 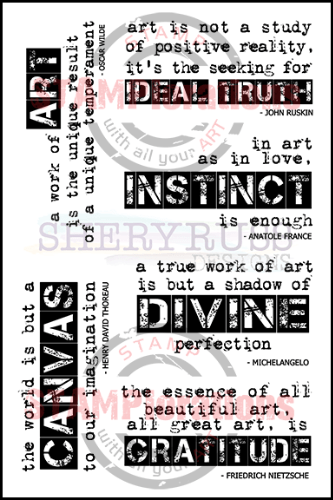 It’s time for another ARTplorations Stencil Blog Hop with the STAMPlorations girls. 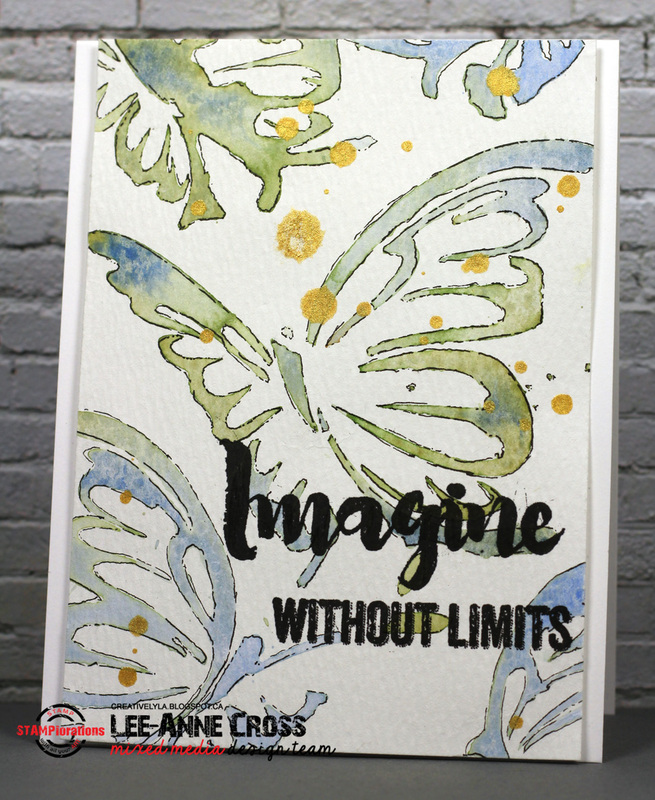 I’m always on the lookout for new ways to use stencils and this one incorporates another of my favorite things and that’s watercolor. Here’s a link to the video tutorial I found on Joggles which explains how it’s done. My Leaf Prints stencil was placed on some watercolor paper and using a large, flat brush I dropped in watercolor paint. 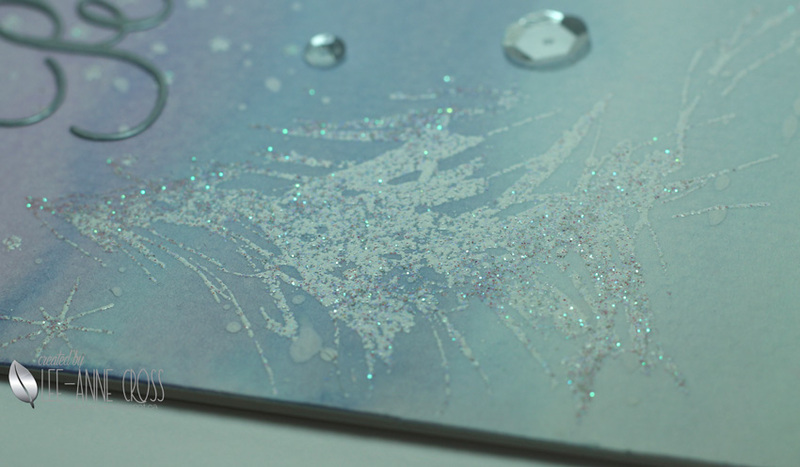 Once it was completely dry, I did a bit of rough sketching around each of the components with a waterproof fine pen. And since I ended up with some tiny drops of watercolor, I outlined those two just for fun 🙂 There’s a distinct possibility you’ll see more of this technique in the coming days as I try to perfect it. Check out what the other STAMPlorations girls have made to inspire you right here. 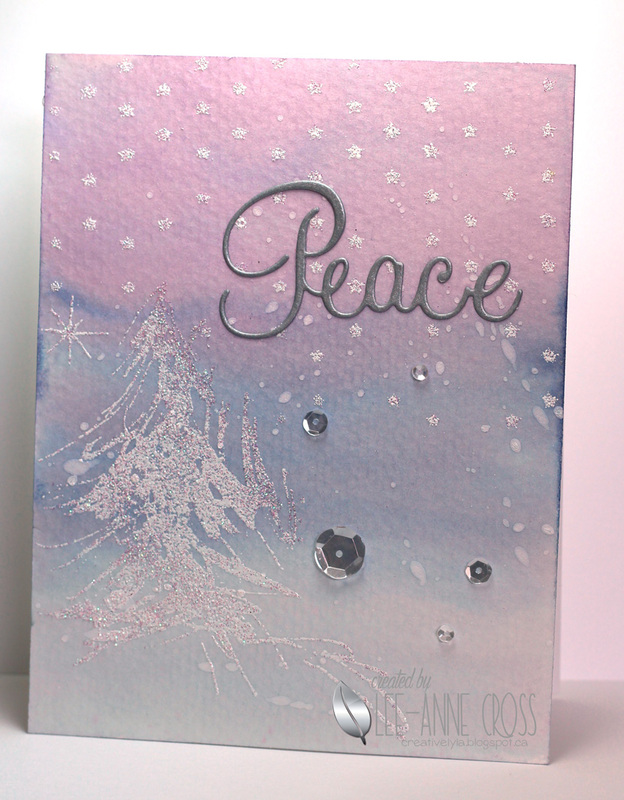 I opted for a soft color palette and lots of sparkle, but kept the “peace” theme. Just did a quick watercolor wash background, splashed on some watered down gesso and then heat embossed the tree and the starry background with some glittery embossing powder. The sentiment has been die cut from some silver paper. A birthday card for my sweet cousin, Toni. I’ve heat embossed the flowers from Altenew’s Persian Motifs in gold and then just loosely watercolored with some Distress Inks. When it was dry I added some splashes of Peerless Transparent Gold watercolor. 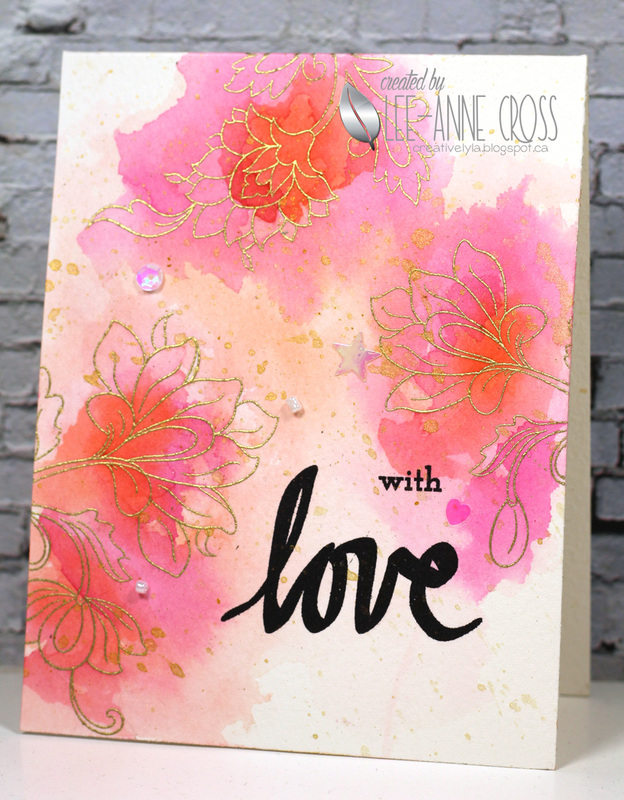 This is a one layer card using Arches 140# cold pressed paper. A simple sentiment from Altenew’s Superscript 2 and a smattering of fun iridescent white beads and sequins from Little Things from Lucy’s Cards. That little heart is actually iridescent but shows up pink on my photo…one of those little things that make you go hmmm???? More homework from my Watercolor for Cardmakers Intermediate Techniques class. This, like the other techniques from this class, requires a lot of practice. I’m getting there…just need to spend more time practicing. Cannot begin to tell you how amazing this class is…so many fabulous techniques by the instructors. And let me just say…Dawn Woleslagle from WPlus9 is an amazing artist as well as instructor! Here’s a link to the class if you are interested. I’ve used Arches 140# cold pressed paper with M. Graham and Winsor & Newton Professional watercolors. 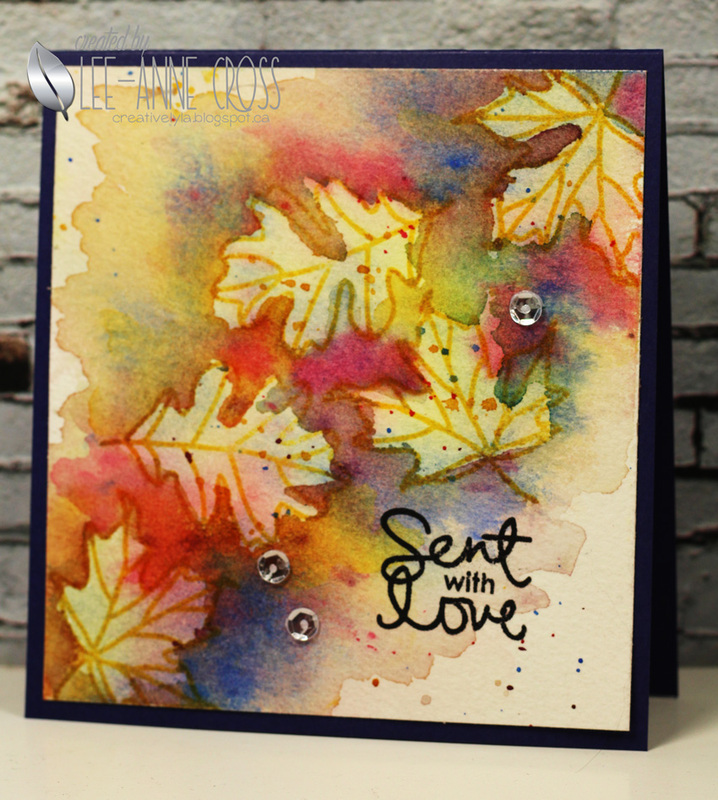 The leaves are from Technique Tuesday Give Thanks and the sentiment is from Simon Says Stamp’s Square Sayings.